The International Boxing Organization’s President, Ed Levine, has one of boxing’s most exciting champions in Gennady Golovkin as the reigning champion of IBO middleweight title belt. Golovkin, along with Anthony Joshua, Erislandy Lara and Chris Eubank Jr. are among some of the dominant fighters to hold the IBO belt. With its impressive list of fighters, the IBO looks to keep adding to its roster of champions as 2017 heads to a close. 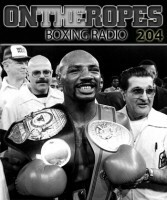 In part 2 of my “On The Ropes” boxing radio with Ed Levine, I get his views on Gennady Golovkin’s decision to defend all of his belts against Canelo Alvarez. Ed also shares his views on the Golovkin-Canelo fight and gives his prediction for the potential rematch. 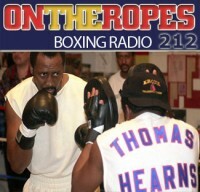 Additionally, Levine breaks down a Joshua vs. Wilder bout and talks about the IBO’s list of champions. Here is what Ed Levine had to say. Jenna J: As President of the IBO, it must make you proud when a champion shows great pride in his belt, as was the case when Gennady Golovkin wanted to defend all of his belts against Canelo in that super fight. What did you think of that? 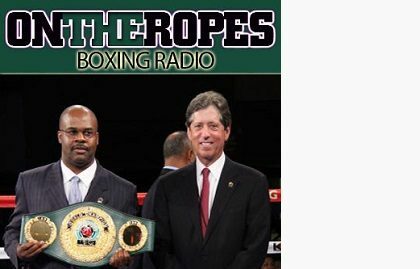 Ed Levine: It is so rewarding for a young organization, and it’s so rewarding to me that regardless of the fact that certain broadcasters may not recognize the IBO, regardless of a certain boxing writer who may not recognize the IBO, the most important thing to me is for the champion to recognize and be proud of his IBO belt. We have been very lucky to have champions that are marquee champions that want the IBO belt and are proud to have it. Golovkin is one, clearly Erislandy Lara is one, Anthony Joshua has shown an affinity for the IBO belt. Ricky Hatton defended our belt quite a few times and he was very proud to be the IBO champion, and that makes us so proud on the other side, it’s so rewarding. Jenna J: What were your thoughts on the super fight between Gennady Golovkin and Canelo Alvarez? Who did you think won that fight? Ed Levine: My view on that fight is that styles make fights. Some people believe that Gennady is not quite at the pinnacle any longer, I’m not one of them. I think that the styles of Gennady and Canelo created that kind of fight and I think that clearly Canelo was very weary of Golovkin’s punching power and that’s the way he fought that fight the way he fought it. I still saw Gennady cutting off the ring, I saw Gennady take a couple of phenomenal punches from Canelo, and clearly Gennady’s chin is the same chin that he’s had in his whole career. Any other fighter that gets hit like that is going to be in trouble and Gennady was not in trouble. I think with a fighter who is aggressive and tries to bring it to Gennady, they’ll get knocked out. With a fighter who is cautious and stays away and fights in spurts, they can survive, but I thought Gennady won that fight. I don’t see Gennady’s future being limited by a fight or two, I think his future is as far as he wants to take it, he still has all the talent. Jenna J: In terms of the rematch, who would you favor based on what you saw in the fight fight? Ed Levine: Clearly I would favor Gennady. There’s a large number of people out there who think that he’s aging and think he’s lost some of his skills, but I’m not one of them. I don’t think that Canelo improves substantially from that fight, I think the only way Canelo can beat him next time is to bring it to him more and to be more aggressive, and I think if he does that, he plays into Golovkin’s hands and finds himself in trouble. I don’t think that the next fight will be any different other than it being a clear Golovkin victory. 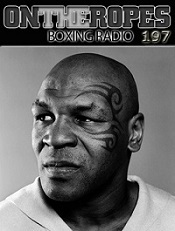 Jenna J: Ed, we recently had back to back weeks where heavyweight champions Anthony Joshua and Deontay Wilder fought. I would like to get your unbiased views on who wins that fight if they end up meeting each other in the ring? Ed Levine: I was really impressed by Wilder — anyone who wasn’t impressed must have missed the fight — but I don’t know what to take from that fight in terms of what that really meant because the opponent didn’t do anything, the opponent was really just a punching bag, he did not land a punch in the fight. Clearly Wilder was impressive, threw beautiful combinations, had good hand speed, but the question is still there, how does he do against Anthony Joshua who is thirty pounds heavier and would not be a punching bag? It’s a great fight, it’s a fight the fans want to see, it’s a fight I want to see. Will they put it together now? I don’t know, that’s the business side, but that’s the biggest fight for the heavyweights because those are the two young guns who are undefeated, super punchers, super knockout ratios. I don’t know, I think if I had to pick one, I would still say Joshua because of the weight difference. Jenna J: In closing, do you have any message you want to pass along to the fans? 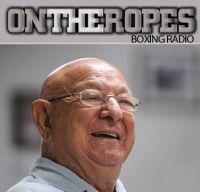 Ed Levine: To the fans I would say keep an open mind before you just play an old broken record about the idea of the IBO not being one of the main sanctioning bodies. Do a little homework and look us up a little bit, go online and check out our website and see what we are all about. Check some of our champions and see if you can find any disputes or major problems that the IBO has had in the last 18-19 years. Maybe competition is good for sanctioning bodies as well, maybe it’s good to have another sanctioning body competing with these existing ones, competition is good for the sport. 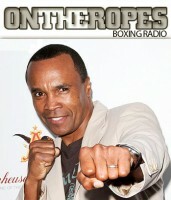 Enjoy the fights, we are in a great era in boxing, boxing is alive and well. 2 Responses to "Ed Levine: “I think if Canelo is more aggressive, he plays into Gennady Golovkin’s hands and finds himself in trouble”"
Golovkin won that fight. There is no debate, there is no question, he won and got robbed. The BAD DECISION is still the biggest flaw of boxing, you can’t expect a sport to grow when the best fighters on the highest profiles get wronged in front of the whole world. I give Mr Levine credit for stating his true opinion on it and not trying to PC or neutral. He knows who WON, and who will win the rematch.